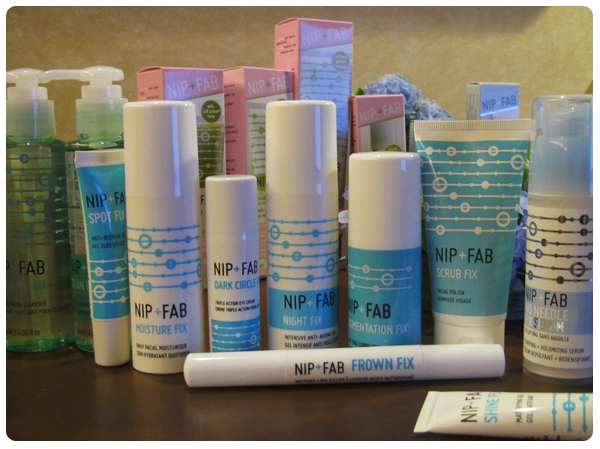 Nip + Fab is the child of beauty guru Maria Hatzistefanis. 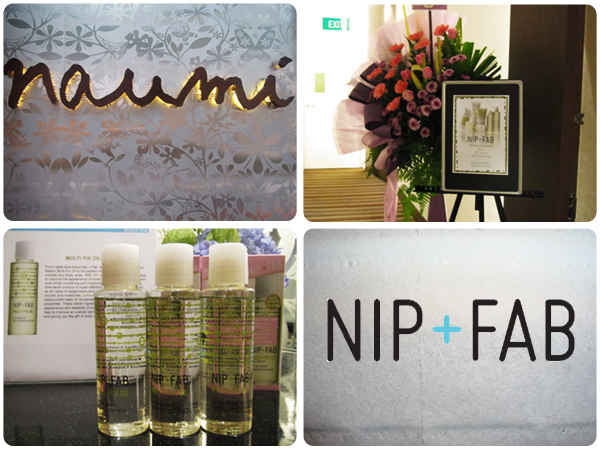 She is also the mother of the premium cult beauty brand, Rodial (Nip + Fab is dubbed the sassy, younger sister!). 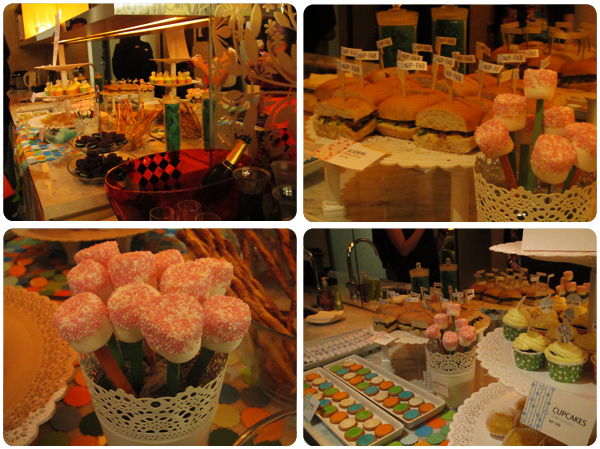 Educated in New York and Europe, Maria pursued a career in beauty journalism. Somewhere in-between articles, she saw the potential of creating beauty ranges that would be alternatives to plastic surgery. The fix takes the form of a light serum which plumps, smooths and firms the skin round the bust by improving the elasticity and firmness! 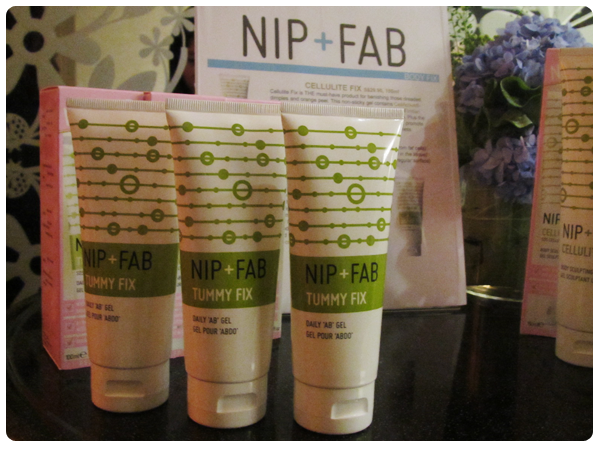 Tummy Fix (100ml, $29.90) is a daily ab toner that helps to lighten, tone and smooth the tummy area with AmaraShape. AmaraShape works magic with its fat burning actives to refine contours on the waist, thighs, buttocks and hips! Caffeine and synephrine are also present to 'activate the breaking down of lipids in fat cells'. A flat tummy is like a dream that never comes true for me. 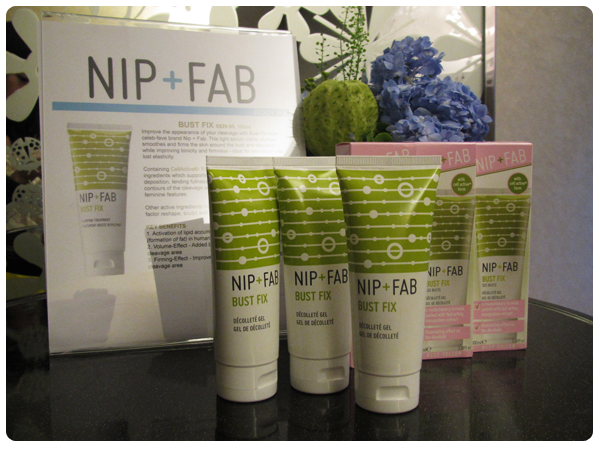 So if the Tummy Fix can, well, fix that... You can be sure that my room will be chock-full of Nip + Fab's products in no time! 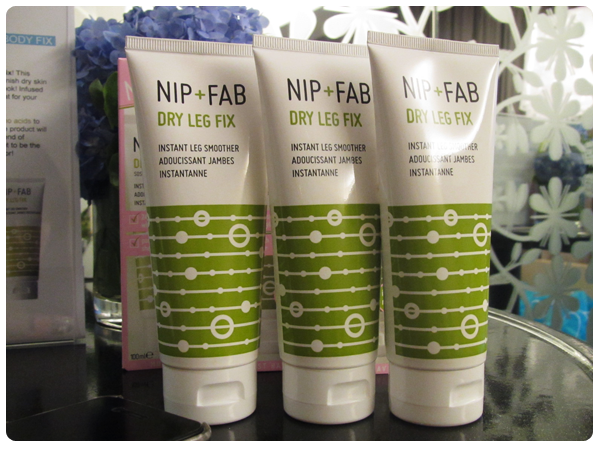 Dry Leg Fix (100ml, $15.90) smooths your legs instantly. The intensive balm banishes dry and flaky skin with Aquaxyl, 'an innovative moisturizing and restructuring hydraconcept'. 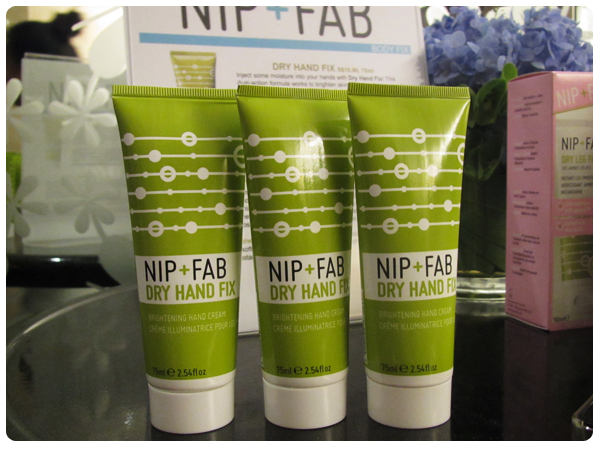 It 'improves the water reserves in the skin, limit water loss and visibly improve the surface of the skin'! It also contains ingredients like shea butter for hydration and the restoration of elasticity and glycerin to soften and hydrate!